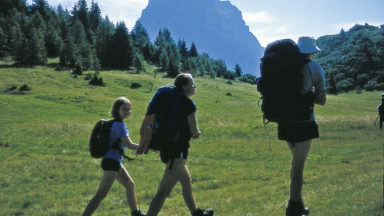 A guidebook to 30 walks in the Angus Glens; north of Dundee and south of the Cairngorms. Covering the five Glens of Isla, Prosen, Clova, Lethnot and Esk with routes for competent walkers to explore remote upland areas. 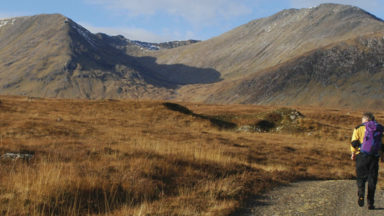 From 6 to 25km, the walks visit Munro peaks, glacial valleys, craggy corries, forests and lochs, and treat you to fabulous views. This walking guidebook explores the five main glens of Angus – Isla, Prosen, Clova, Lethnot and Esk – stretch from the fertile plains of Strathmore up to the southern ranges of the Cairngorms National Park in 30 routes ranging from 6 to 25km (4 to 15.5 miles). Each glen offers spectacular walking, Munros, remote landscape, deep lochs and quiet, often crowd-free day-long adventures. Glen Clova is the most popular of the Angus glens, offering a number of Munros for the discerning peak-bagger. Also on offer here are a number of less well-trod paths; ancient stalkers’ paths and drove routes providing ways through and over the hills. 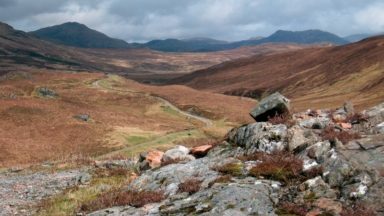 Glen Prosen is a sparsely populated valley, and the line of low hills separating Prosen from Clova is one of the area’s finest ridge walks. 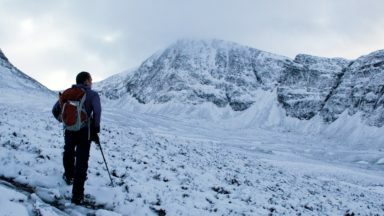 Glen Isla is a land of contrasts, with gently undulating slopes and rough pasture in the south, and a wilder, craggy north with the summits of Glas Maol and Creag Leacach. Glen Lethnot is the least visited of the Angus glens, wild and lonely with tempting tracks and paths. Glen Esk contains a network of ancient byways that are now the preserve of walkers and backpackers, with a number of mountains worthy of ascent. Although the area is rugged, remote and crowd-free it is still easily accessible for walkers and this guidebook offers a wide range of circular and linear routes with which to explore. 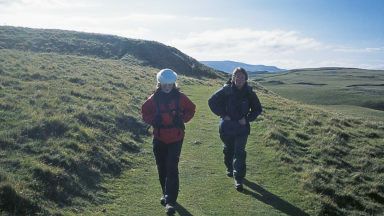 You’ll need a basic level of hillwalking experience, and the ability to navigate confidently using a map and compass. While the majority of walks follow established tracks, some routes do contain sections that cross open ground with indistinct paths and few landmarks. 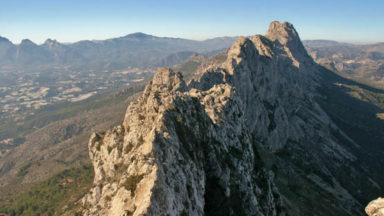 As such, navigational skills are essential for these routes. For further informatin about this guidebook, and the area it covers, check out author James Carron's dedicated website www.walkangus.com. It is not possible to complete this walk as the gate referred to on page 80 just below the summit of Hill of Spott is padlocked. The gate is too tall to climb and is part of a deer fence that also cannot be climbed. Page 72 - A new deer fence has been erected in Glen Cally preventing walkers crossing the stream joining a grassy track. Turn right to follow the fence line on the east side of the stream about 250 m northwards to reach the end of the deer fence where a left turn up a short climb provides access to a gate in the fence and enables the original route to be re-gained without difficulty. Scotways has renewed the signs at the start of the walk and the forest road followed at the outset is now signed for 'Forter'. While not affecting the integrity of the walk, the Forestry Commission has felled a large portion of its plantation on the western side of Crock, altering the outlook at points along the route. The work is scheduled for completion in spring 2014. Based in Dundee, James Carron holds an enduring love for the Angus Glens. He also makes regular forays overseas and adores hiking in Eastern Europe. 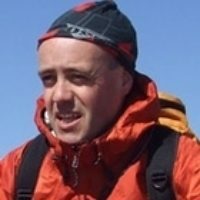 A freelance writer specialising in outdoor pursuits, he has written several walking guidebooks and is a regular contributor to outdoor magazines.